I have been twice to the British city Stoke-on-Trent to see the famous pottery factories. I lived for some months in Manchester when I was young and the train to London stopped at this place too. I thought the name of the city was so different to what I knew. I have never seen the city centre, but I would like to come back and make up for that. One factory The Middleport Pottery was a working museum on how they used to run the factory Burleigh. I fell in love with the very English decoration style. The pattern was somehow glued on the pottery and not hand painted. Still it is handmade in a style called “underglaze transfer printing”. The clay on the banks of the river Trent was excellent for pottery. 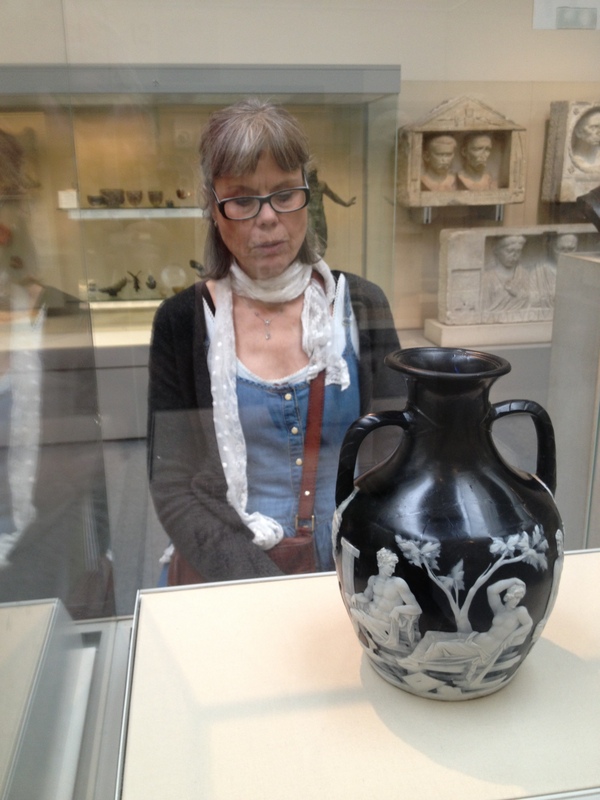 For years he worked on a famous vase he had seen at the British Museum called the Portland Vase. It was a copy of an ancient Etruscan vase. Nobody knew what the material was made of, but he found out. The rich families in the eighteen hundred were eager to get vases and porcelain that looked like they came from the antiques. The idea of looking for these old-fashioned factories came from picking up brochures at a National Trust venue on the road. 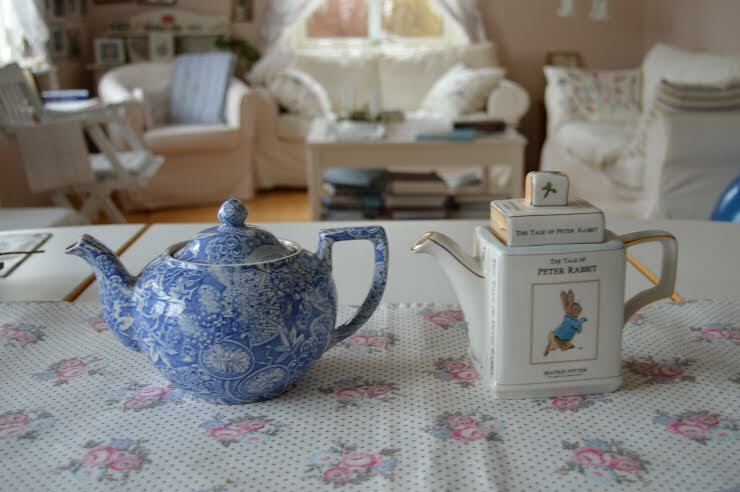 It’s a lovely thing in England that old fine houses are kept by volunteers to be seen and you can always get a nice cup of tea while visiting.